Perfect pet sitter and animal lover! Hi everyone! My name is Olivia and I am so excited to be able to share this experience with your beautiful animals! I am based in Richmond Nelson, although I do not mind travelling anywhere around Nelson for your fur babies! I cannot wait to be able to pet sit, dog walk or visit your animals for you! I am able to look after dogs, cats or small animals, as well as dog walk as I have such a love for animals and exercise, so why not combine them! No animals deserve to be at home all day by themselves, which is where my experience and caring attitude comes in handy. 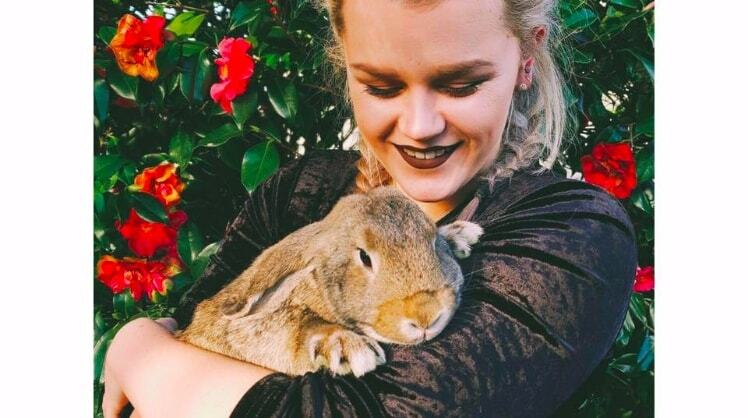 I have always had animals in my life, and I have just finished working at a wildlife park in Christchurch, proving just how much affection I have towards animals! I have also just graduated a bachelor of criminal justice degree, therefore since I have moved back to Nelson I have a lot of spare time and I want to spend all that time with animals! I am flexible, being able to dog walk or sit whenever and wherever you like! When dog sitting, I would take your baby for as many walks as you please! I love all animals, big or small and would love to provide help and love to your animals! Would recommend Olivia to anyone needing their pets. Super impressed with her communication before, during and after her stay. Olivia was an absolute pleasure to deal with. Pawshake overall exceeded my expectations. Olivia was absolutely awesome! My two dogs loved her to bits and even when I came home they still waited at the window to see her again. She kept in contact with photos and was so great to know they were being well looked after. Highly recommend!!! I am working towards my Bachelor of Criminal Justice. I currently work at a Wildlife Park. I have trained animals before, as well as having experience in dog sitting.